Universal Orlando’s newest attraction may not be the best ride in Orlando. Or Universal Studios Florida. 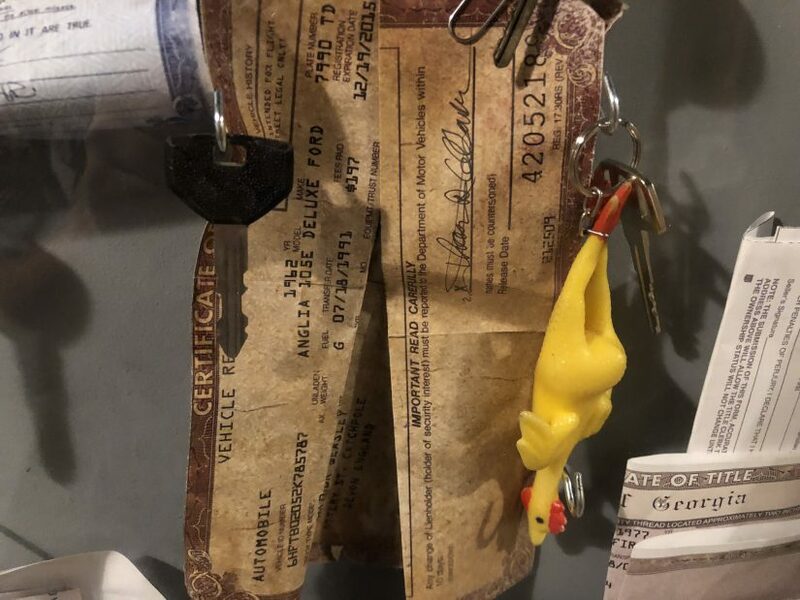 However, there are a fair amount of details, hints at the future and easter eggs that make walking through the queue of Fast & Furious: Supercharged potentially worth your time. Yes, the ride itself is still a dumpster fire, but let’s take in some interesting details about all the details prior to boarding that party bus! 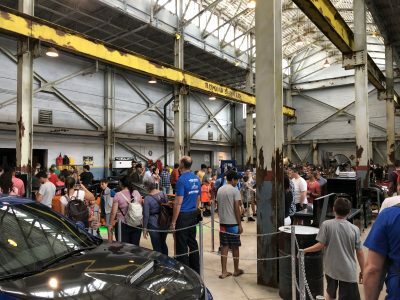 As you enter the first section of the queue, you’ll notice the impressive selection of cars on display. However, I wasn’t really focused on that. The technology being used to test facial recognition is out on full display in the Virtual/Universal Express queue. You may recall that several months ago, Theme Park University broke the news that facial recognition will most likely be Universal’s counter to Disney’s MagicBand. Facial recognition will be used to enter the park, purchase food and merchandise and identify you for Universal Express and more. 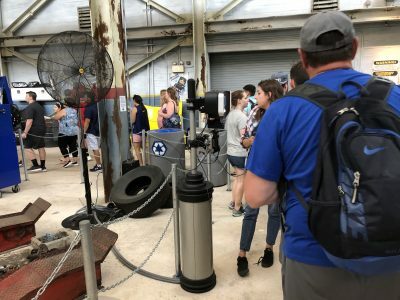 What’s interesting to note is this technology used in the Supercharged queue is not being advertised at all. You aren’t asked to look at the camera. However, there are absolutely cameras there gathering data. They are currently attached to a scanner used for Express and Virtual Line. We are going to follow up on this story as there have been some interesting developments here at Theme Park University in the future. Moving a little further along, it’s pretty well known that there is a hidden Beetlejuice in the Supercharged queue. 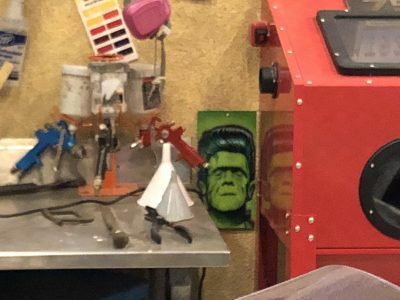 However, there is also a nod to Frankenstein who was also in the former Beetlejuice Graveyard Revue that previously occupied the space where the Fast & Furious Supercharged queue currently sits. Moving a little further along, you’ll notice a piece of art near one of the desks located in the queue. In the lower right corner, it reads “IAAPA 2017”. This is a nod to the International Association of Amusement Parks held in Orlando every year. Many deals for theme park designers, ride systems, animatronics, show systems and more all take place during that week and we cover it faithfully every year here at Theme Park University. Why the 2017? Not sure. Any readers out there know the significance of the year or how IAAPA attaches to this particular piece of artwork? 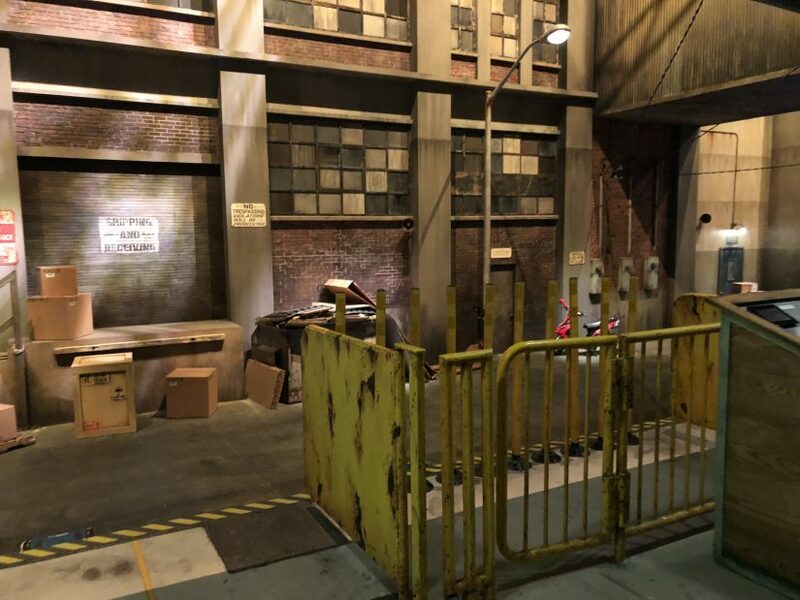 Once you reach the load area for Fast & Furious Supercharged pay close attention to a sign just across the boarding platform. 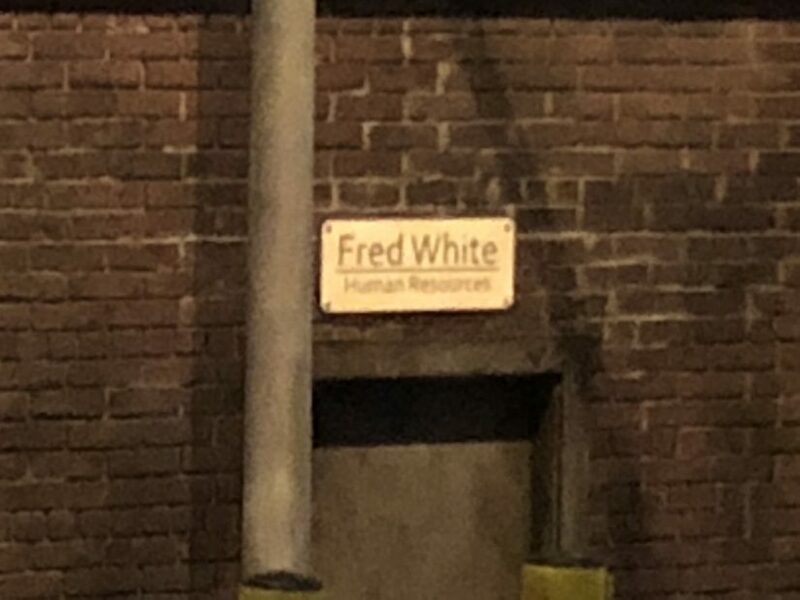 It says “Fred White – Human Resources”. This is a nod to an actual team member at Universal Orlando. Fred White is the Director of Diversity at Universal Orlando and has been employed there since 1992. I love that Universal not only gives credit to their Universal Creative Team but to other departments as well. Regardless of if you have kids or not, it’s worth your time to pop into the child swap area located near the exit of the ride. 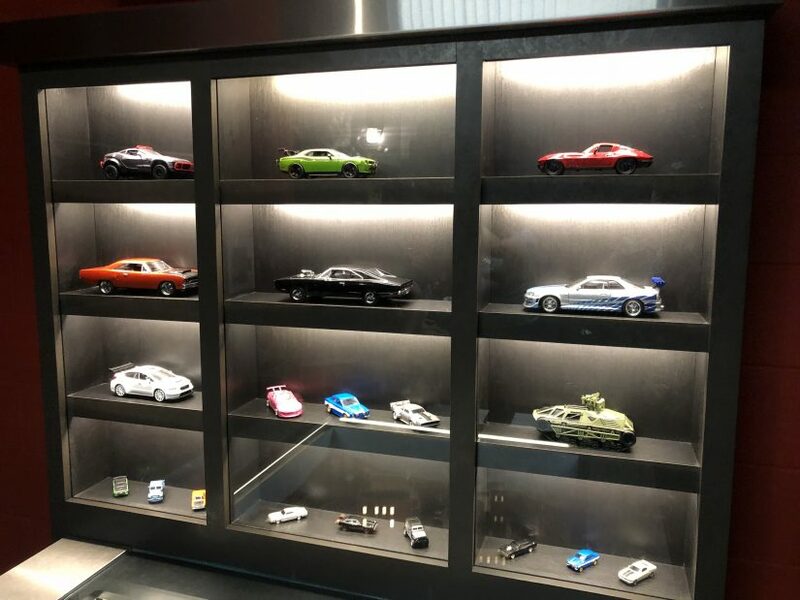 There is a fantastic model here featuring cars and buildings from the Fast & Furious franchise. Most importantly? 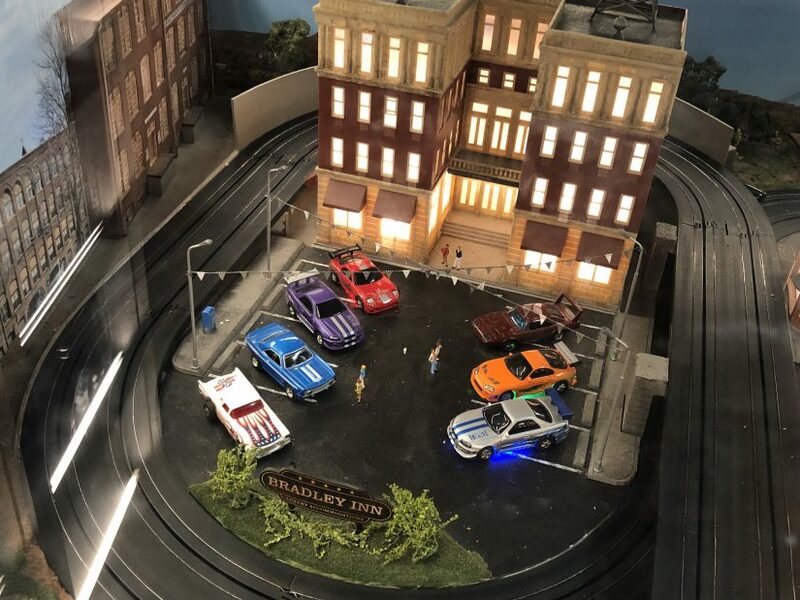 It’s built around a working slot car track that kids can play while they are waiting for their family the ride! Fairly ingenious. 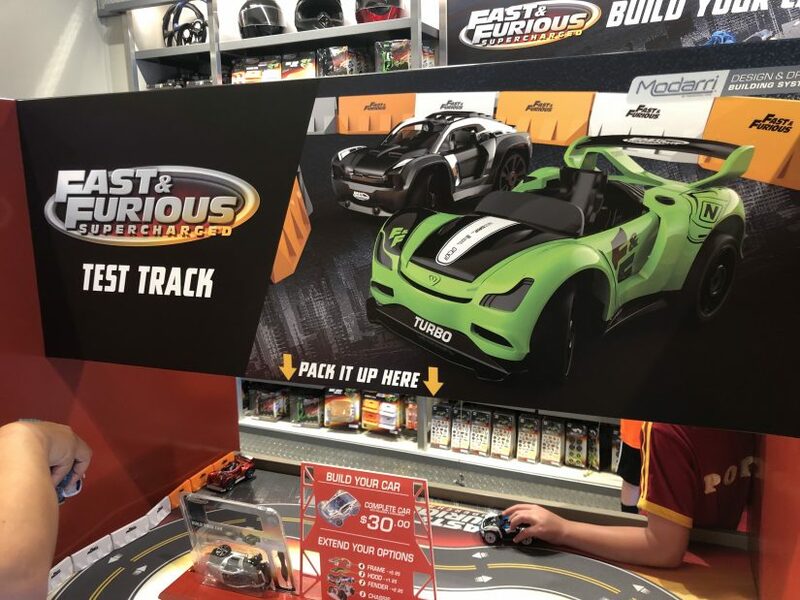 At the exit of the attraction, in the gift shop, you can assemble your own Fast & Furious toy car. You choose how you want to accessorize it and assemble it right there. We loved this idea and had fun mixing and matching various car pieces together to play with. However, what lies down this hallway is the reason to even set foot in the building. If you’re a fan of easter eggs, you have to visit the single riders line of Fast & Furious Supercharged. Even if you don’t want to ride. I literally just went down this hallway to check out the details, then turned around left. Yes, the ride is that bad. This is the trophy case for the warehouse the entire ride is centered around. If you’re not familiar with the Fast & Furious films, the premise can actually be boiled down to this case. Dom (Vin Diesel) and his crew race people and whoever wins – the loser has to hand over the keys and title to their car. Winner keeps both cars. 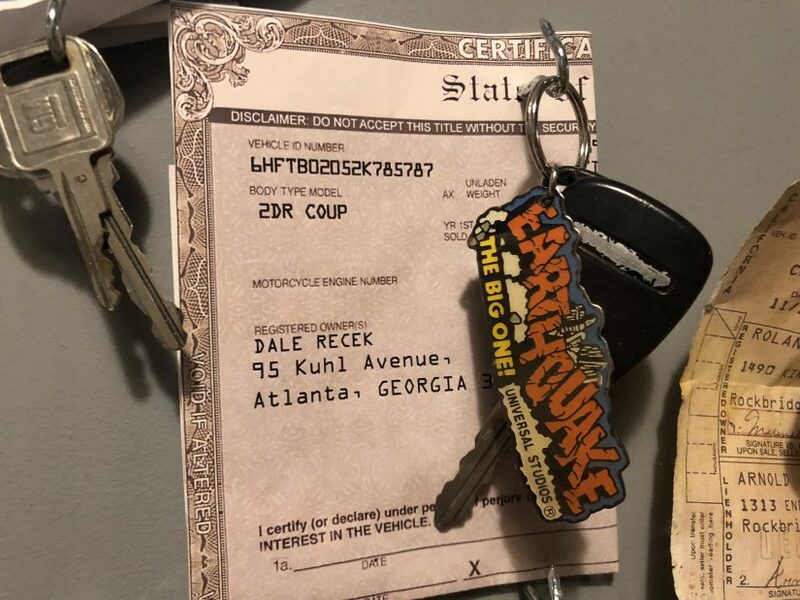 There are tons of great tributes in this case, such as this keychain for Earthquake – The Big One. This was an opening day attraction at Universal Studios Florida. More importantly, the title owner is Dale Recek, the Cheif Mechanical Engineer at Universal Orlando. 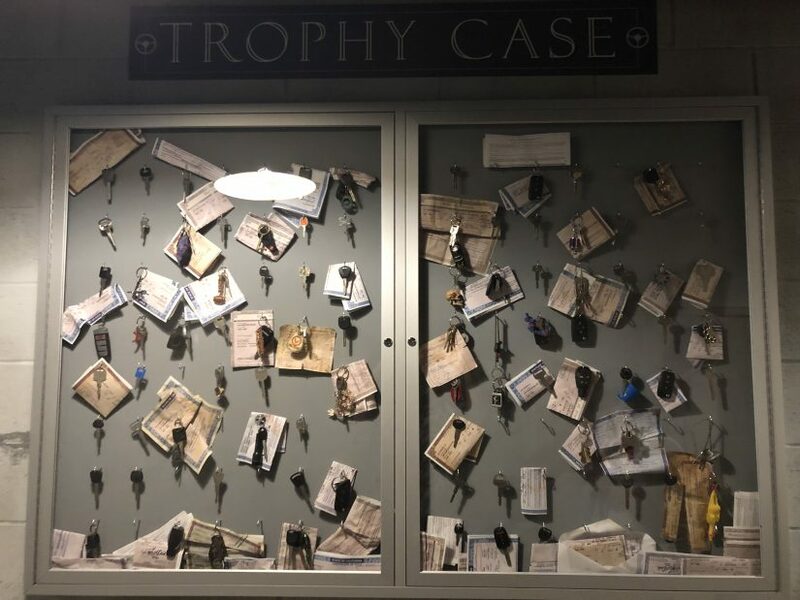 Some of the keychains are connected to other parts of Universal Studios Florida. Perhaps Dom was racing other characters and residents within the park? Take, for example, this rubber duck keychain. 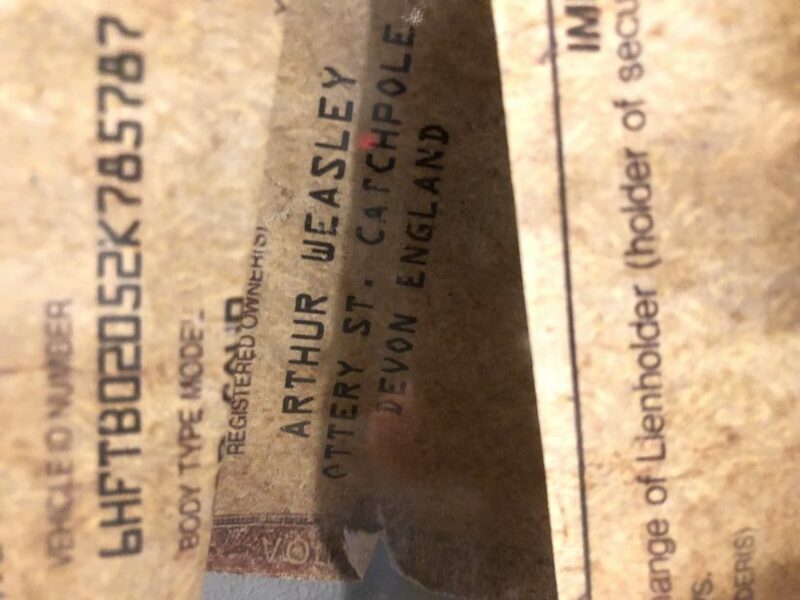 The title belongs to Arthur Weasley in England. 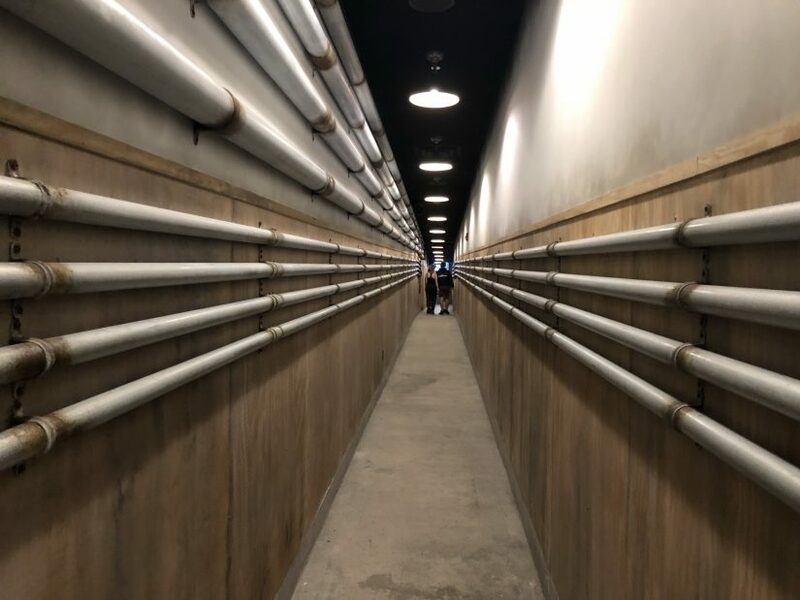 This is a tip of the hat to Weasley’s Wizard Wheezes, the joke store located in Diagon Alley at Universal Studios Florida. Some details are just cool. 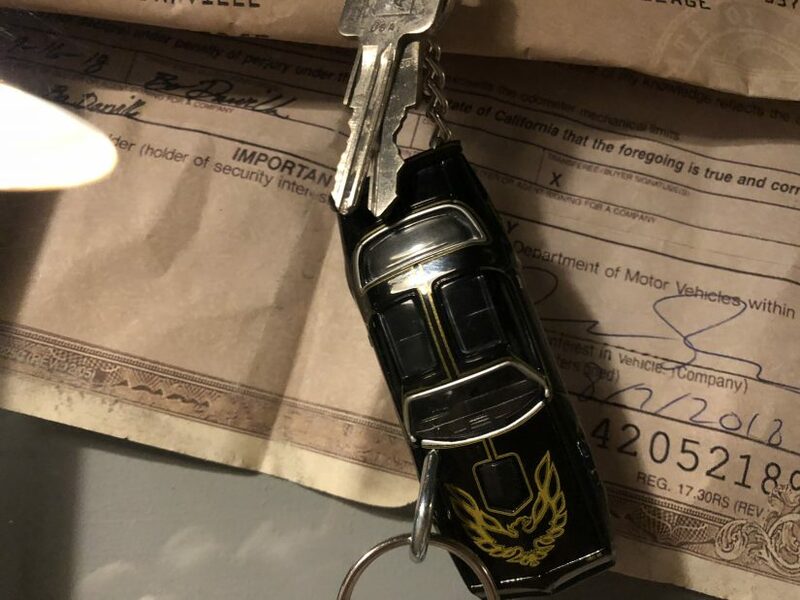 The Trans Am keychain above is a nod to Smokey and the Bandit. A classic Burt Renolds movie which also happens to be about racing cars! 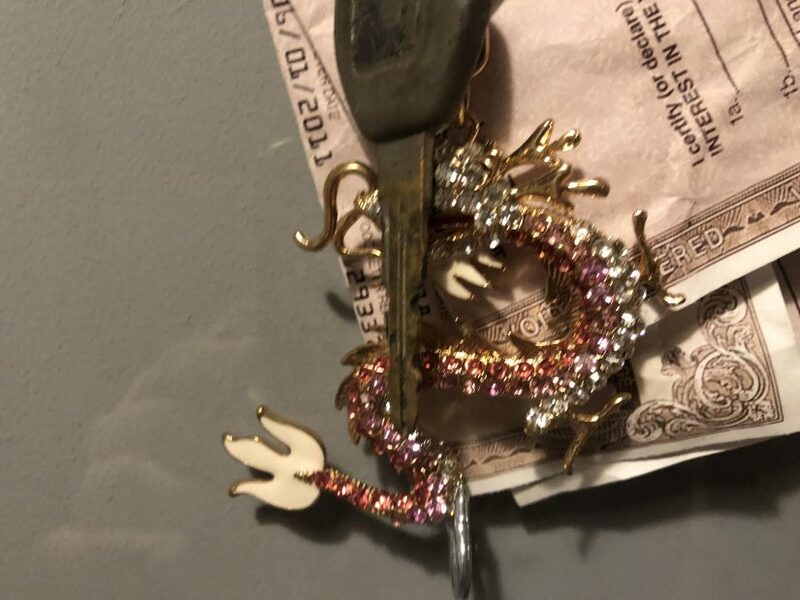 I am intentionally leaving out many of the keychains in this case. 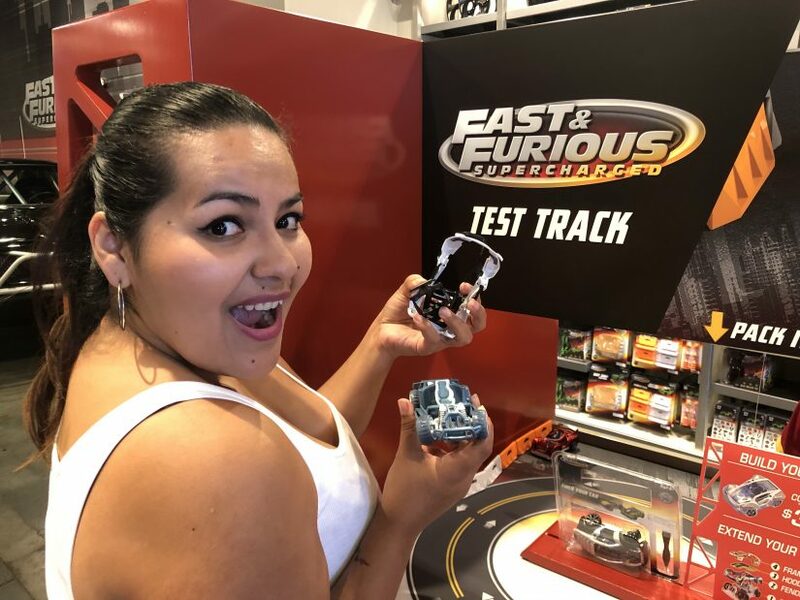 Some are nods to the Fast & Furious films and others are more tributes to Universal Studios Florida, other films and key people within Universal Orlando. Seriously… skip the ride and soak in the details of this queue! 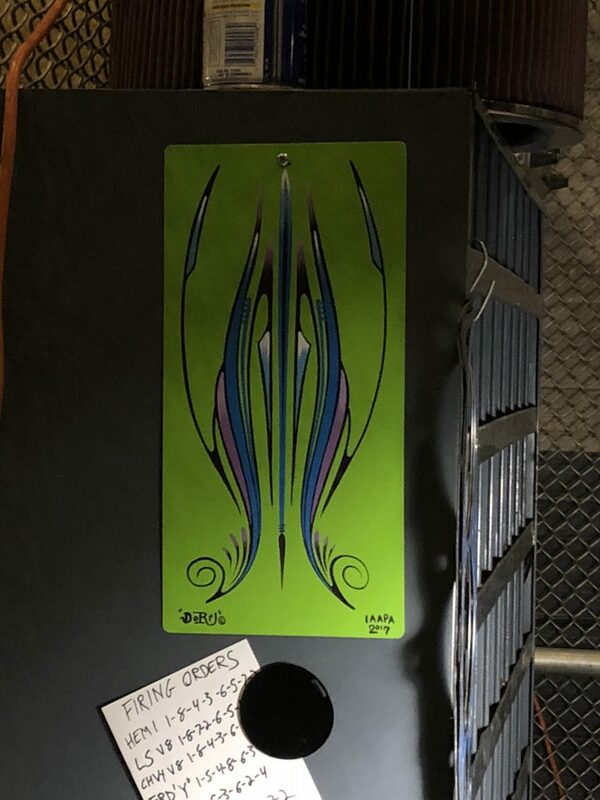 This entry was posted in Universal and tagged easter eggs, Fast & Furious Supercharged, Universal Orlando, Universal Studios Florida. Bookmark the permalink. Trackbacks are closed, but you can post a comment.